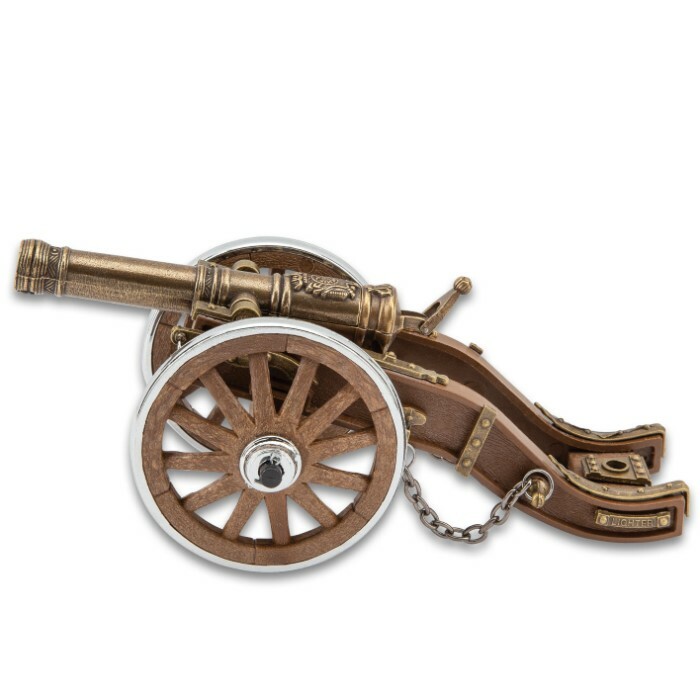 Louis XIV Desk Cannon Lighter, Hand-Painted Details, Exact Replica - Dimensions, 7 1/2"x 2 1/2"x 3 1/4 | BUDK.com - Knives & Swords At The Lowest Prices! This small scale version of King Louis’ history changing cannon is the perfect addition to any desk. 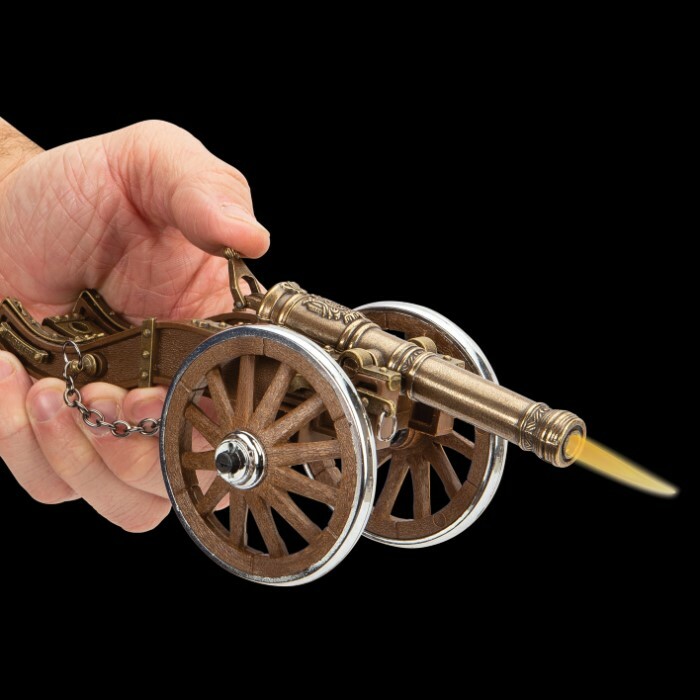 Instead of blasting cannon balls through your office walls, this cannon acts as an actual lighter. 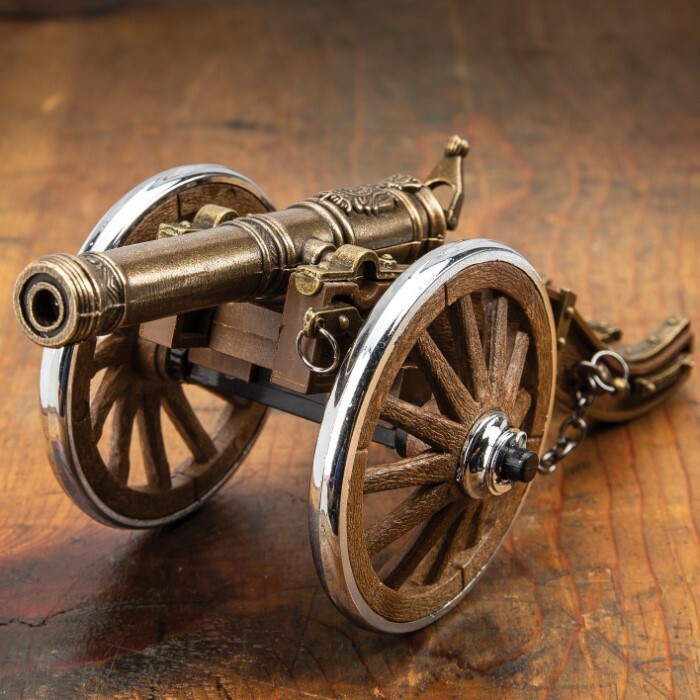 Just press down on the lever on the back of the cannon and sizeable flame will exit the end of the cannon. Whether you are lighting victory cigars or setting your paperwork on fire, this is the most interesting way to light a flame on the planet. 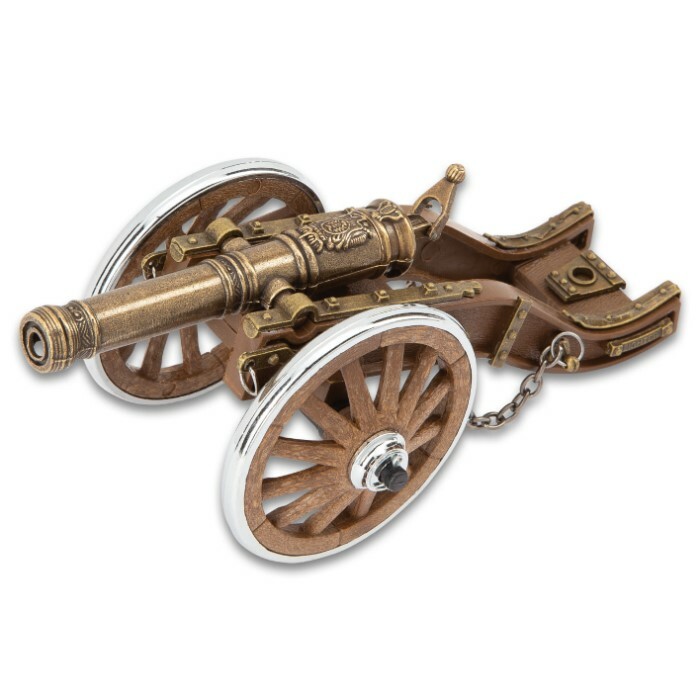 The ultra-realistic details simulate the wooden and brass used in the historical cannons and the wheels actually roll to point your new flame-making décor in whichever direction you’d like to go.